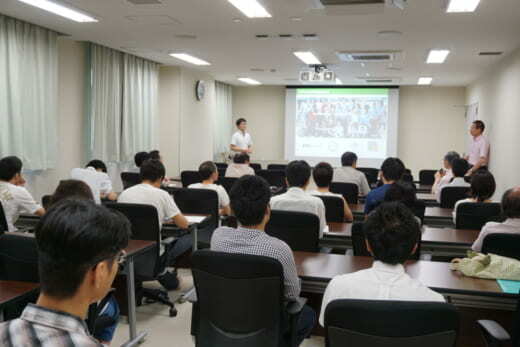 On July 12th (Thursday), the NanoLSI Open Seminar “Laboratpry Evolution of Synthetic Nucleocapsids” took place at a meeting room, 4F Cancer Research Institute, Kanazawa University. 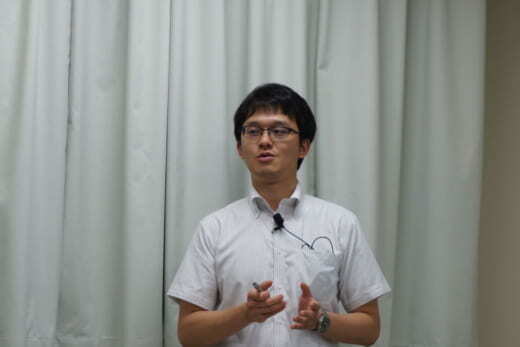 Several hypotheses about the origin of the virus have been proposed, but at the seminar, Dr. Naohiro TERASAKA, Project Assistant Professor, Department of Chemistry (GR), Graduate School of Science, the University of Tokyo introduced that the process of stepwise formation and advancement of RNA-encapsulating protein oligomer particles is experimentally reproduced. 22 participants including KU CRI members as well as faculty members from other institutions and graduate students had lively question-and-answer sessions and discussion with the presenter.